So, let me make it simple for you. Snowboarding is no child’s play. It can only be mastered if you have the demanding skills, determination, patience and most importantly, the right gear to help you rise above others. Remember, your body functions well at an optimum temperature that is 37 degrees Celsius. 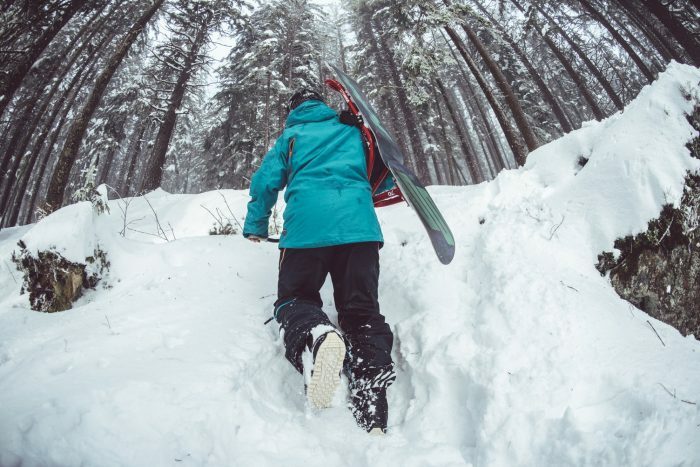 When you are snowboarding, the wind tends to be cold, and the ground is covered in thick layers of snow. Environment temperature tends to be below freezing point (0 degrees Celsius). In addition to this, snowboarding is a vigorous sport. Your locomotion is intense and thus, your body expels a lot of heat. Due to these reasons, you must keep yourself warm to avoid any discomfort. Always wear a warm outfit, for example jackets, gloves, woolen socks etc. There is one fact that you must keep in mind. Snowboarding is not an easy sport and requires a lot of technique, precision and of course, practice. If you don’t have any place nearby where it snows, no worries. You can easily practice this amazing sport in your own backyard. All you need is a snow board and that’s it. By standing on the board, you can shift your weight from one side to another. You may also learn how to handle your board, and get used to its parts (tail and head). It is always recommended to make yourself adjusted and adopted to the snowboarding gear, before actually stepping up into the real game. One important factor is to distinguish between soft snow, and the one that’s literally frozen water. It is always advisable to perform this sport, on fresh and softer snow. Here, patience plays an important role. You must wait for the ideal conditions or time, particularly the afternoon, during which time the snow tends to be softer. Your eyes guide you on your path. When you’re properly positioned on the snowboard, given that your back is lowered, arms dangling loosely, shoulders facing forwards, and right one halfway between your feet, you will feel a shift in change of weight on your feet. Try to move your head 180 degrees to the right; this is called as sledge control. Your eyes should be kept focused on the direction you’re moving, and all this combined will enhance your experience of snowboarding. Most of you must have watched snowboarding on television, internet or perhaps real life. Have you noticed, how the experts make a continuous series of sharp turns? This is really important, and if you wish to master this art then you must follow one technique. Always look for the walls and banks, or places where two lanes intersect. Initially, this may be hard, but as you practice it becomes relatively easier. You should begin by turning slowing towards the walls and then speeding up until you hit them hard enough for the apex of your body to be parallel to the ground. So, these are just some of the useful tips and techniques that will help you excel at this amazing sport and enhance your experience. This game is about aggression, determination, willingness and balanced by enjoyment and adventure. I hope you have enjoyed the tips from Zach. As always if you have comments or questions we would love the hear from you. Feel free to contact us today. Here is a funny compilation video of some snowboarding wipe-outs. Do not do what these guys are doing.